We just discussed a story of a kindergartner who was disciplined for a LEGO gun that he brought to school that was smaller than a quarter. Now we have another kindergartner who was suspended for the rest of the year (10 days) for bringing an orange-tipped toy gun to school. Rather than simply discuss the matter with his parents, school officials proceeded to interrogate him for hours without calling his parents– a growing problem that we discussed in another story today. The toy was in the boy’s backpack and he was pulled into an interrogation with police. 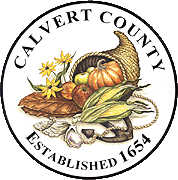 I cannot imagine what officers did for two hours in questioning a 5 year old child but it is clear that Calvert County officials have zero crime and even less judgment. During his detention with the officials and police, the boy wet his pants. I cannot express the level of disgust and anger that I have over such a story. School officials refuse to use any judgment in enforcing such zero tolerance policies and continue to abuse the rights of students by allowing schools to be used for interrogations. The boy will now have the incident placed in his permanent record and he will be kept out of school for the rest of the year. Grown ups are responsible for this farce, not this toddler. The boy wanted to show his friend his toy on their ten-minute bus ride. The principal later told his mother that he pretended to shoot someone on the bus — oh my lord, a toddler pretended to shoot someone with a toy gun. I am surprised that the whole school district was not shutdown. Here is the great part. The principal expressed relief that the cap gun did not have caps to make a pop sound because it would have been treated as an explosive device. This insanity continues despite public outcry and any semblance of rational thought. We have previously explored how teachers and school administrators are expelling or suspending students for everything from finger guns to stick figures. (here and here and here and here and here and here and here and here and here and here). For a prior column, click here. Even nibbling a danish into a gun shape can get you expelled today. I have previously written about the controversy of boys playing with play guns (here and here). This is a boy who was excited about a toy. He broke the rules. Call in his parents but to call in the police is absurd. Teachers may claim that this is in the best interest of the child but it is in the interest of school administrators who believe that they cannot be blamed if they show no judgment or discretion. They just serve up a scared little boy and walk away.